State Highway (SH 16) is a legacy of the Works Progress Administration (WPA) project from the New Deal era. Located in Palo Pinto County, the WPA constructed this 8.4-mile segment between 1940 and 1942 as part of a 27.75-mile long project. Situated between the towns of Brad and Graford, the corridor runs north-to-south on the east side of Possum Kingdom Lake, from SH 254 to the road’s southern limit at Brackeen Drive. 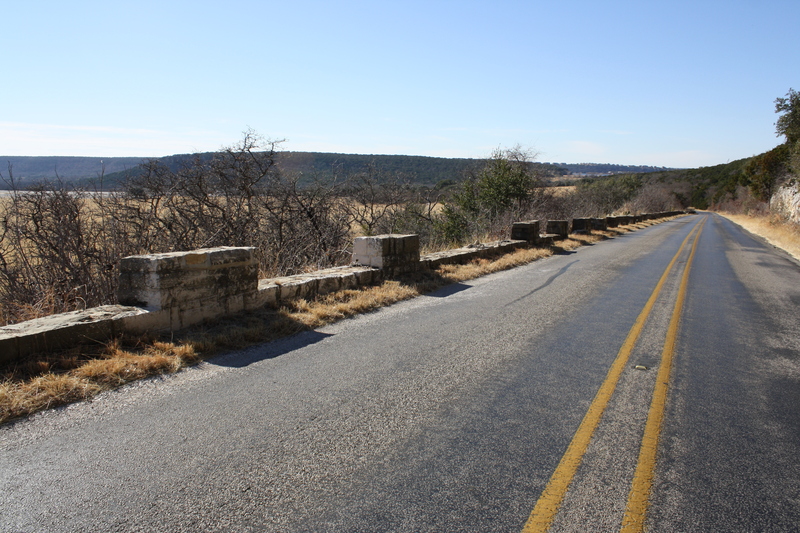 The Texas Department of Transportation (TxDOT) determined this part of SH 16 eligible for the National Register as a historic road corridor with features from the Depression era, such as a masonry arch bridge and guard wall. 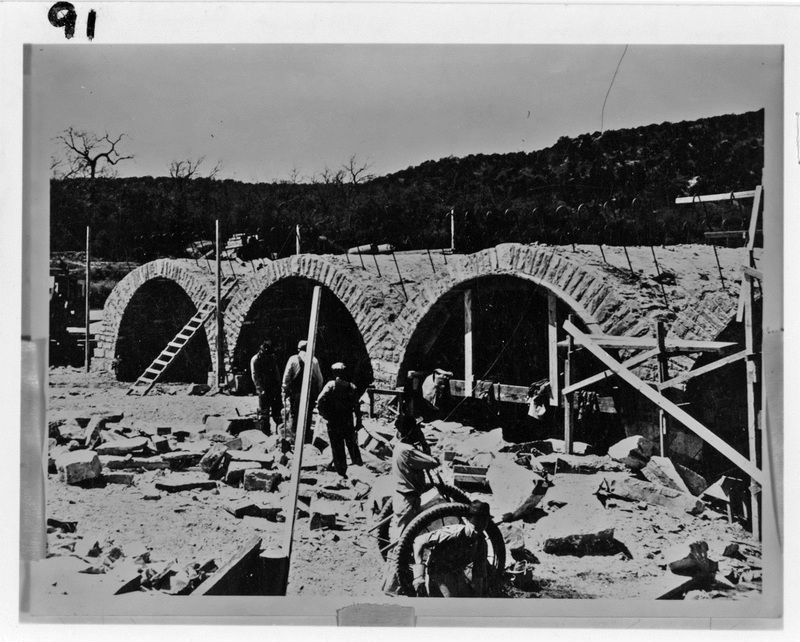 The WPA funded three projects in northwest Palo Pinto County: the construction of Morris Sheppard Dam (also known as Possum Kingdom Dam) between 1938 and 1941, haul roads to connect the dam to nearby towns, and the 27.75-mile road to provide access to the east side of Possum Kingdom Lake. To complete the roadway, the Texas Highway Department (THD), now TxDOT, submitted a project proposal to the WPA, with three major elements: construction of a few road segments, construction of a new bridge across the Brazos River, and upgrade of Possum Kingdom-Graford Road. The WPA authorized the project on August 16, 1940 to focus on upgrading or improving existing transportation networks. While the U.S. did not enter World War II until December 1941, this was a time agencies rarely approved new road projects as the result of the international conflict. Although road crews built a number of stone culverts along SH 16, the masonry bridge was their largest undertaking. 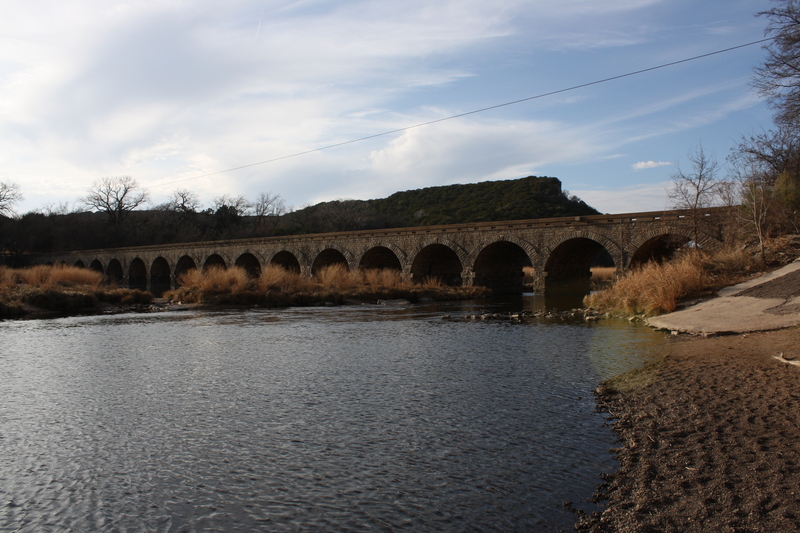 Because flooding was common along this portion of the Brazos River when water was released from the Morris Sheppard Dam, project planners invested additional money, time, and materials to build a masonry arch bridge that could withstand substantial flooding without significant damage. The THD submitted an additional proposal in May 1941 to construct a guard wall, because the winding road was a hazard to traffic, and it was completed in June 1941. The crews completed the entire project by November 1942; WPA records demonstrate that it would not have been possible without WPA funding. Because steel beams were not readily available during World War II, project planners proposed masonry construction instead of steel. 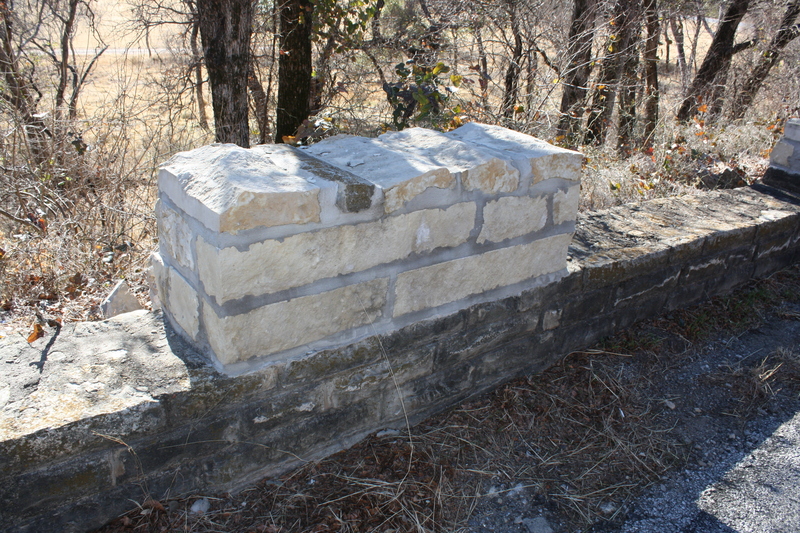 Masonry construction requires little steel support, and a limestone quarry at the top of the Kimberlin Mountain gave crews easy access to stone. This type of construction also required hand workmanship, which followed the rustic aesthetic the National Park Service (NPS) promoted during this period. As typical for a WPA project, the workforce brought on to build SH 16 was made up of skilled, intermediately skilled, and unskilled men. The workers excavated roughly 100,000 cubic yards of earth and applied 75,000 cubic yards of caliche based, high-type, all weather asphalt surface. The workers salvaged lumber from a nearby project to use as the formwork for the reinforced concrete slab superstructure. TxDOT identified a totalof 18 contributing resources within the portion of SH 16 nominated to the National Register. These features include 16 masonry culverts, one masonry guard wall, and the masonry arch bridge. 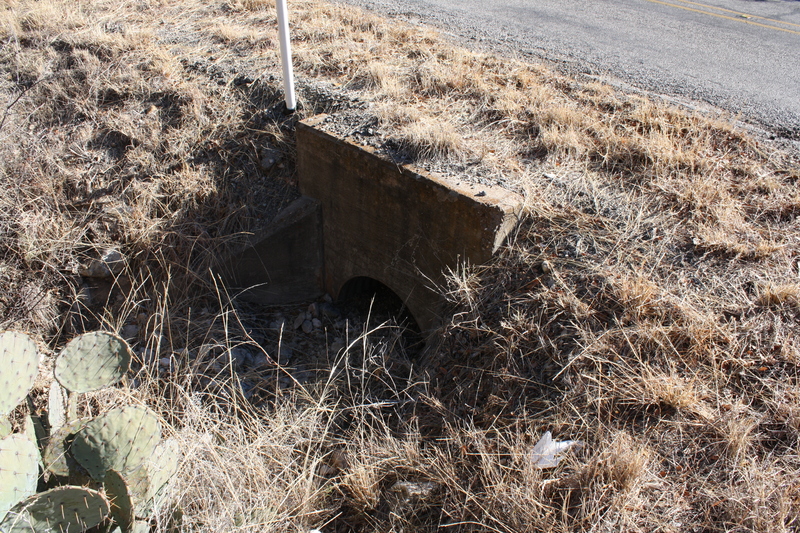 The non-contributing resources include five widened masonry culverts and reinforced concrete pipe culverts. 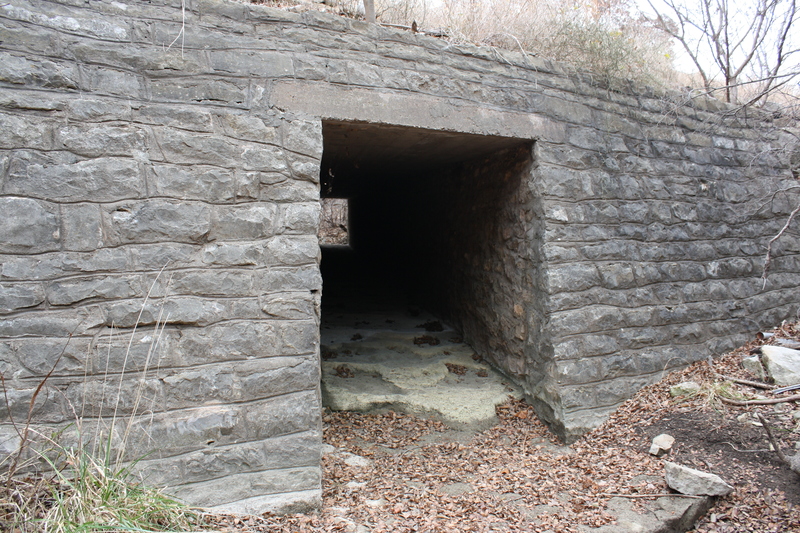 There are 21 masonry box culverts made of locally-quarried, rough-hewn limestone blocks that vary in sizes. The substructures of the culverts are stone abutments and stone wing walls, and the superstructure is reinforced concrete. Around 1985, Texas Department of Transportation (TxDOT) widened five of them on both sides with reinforced concrete box extensions. The wing walls no longer exist on these five culverts, and they do not contribute to the resources on the nominated portion of the highway. 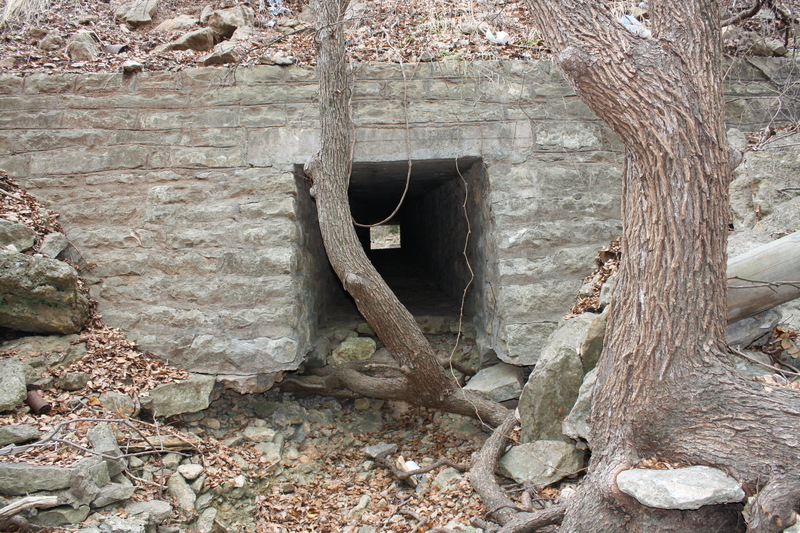 The other 16 culverts are still in their original condition and retain their masonry abutments and wing walls. The guard wall is located on the Kimberlin Mountain, and it is roughly 1,800 feet long. It consists of two foot tall horizontal wall consistently spaced 4-foot-tall vertical elements or crenellations. Similar to the culverts, the guard wall is made of local, rough-hewn limestone blocks with thick mortar and tooled, concave joints. The wall is damaged in several places mostly because of large vehicles hitting it. There were originally 129 vertical elements or crenellations, but 41 are missing, replaced, or repaired. Of the 129 vertical crenellations, 88 remain unaltered and retain their original condition. The most significant masonry feature on SH 16 is the stone arch masonry bridge. This is an 18-span, closed spandrel, earthen-filled, masonry Roman-arch bridge with concrete slab superstructure. The bridge is 433 feet and 4 inches long, and it has two 11-foot wide lanes with no shoulders. The deck is 25 feet wide from outside of the curb to outside of the curb. The voussoir arches with keystones taper to stone piers that vary from 3 to 5 feet wide. The stone piers site on bedrock foundations, and arch spans vary from between 23 to 30 feet long. The bridge is also constructed of local, rough-hewn limestone in irregularly sized blocks. The superstructure and substructure act as one unit, so the deck cannot be dislodged from the arches during flooding events. 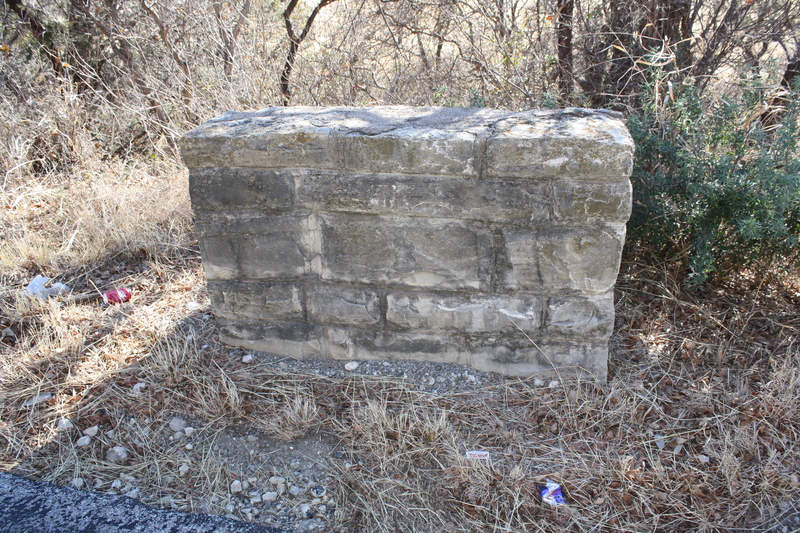 TxDOT added concrete to help stabilize the masonry wing walls, but the masonry features are still visible. At the northeast corner of the bridge, the wall is damaged, most likely from passing vehicles, and portions of the wall are missing. However, the bridge is a contributing resource to SH 16’s significance. TxDOT built the reinforced concrete pipe culverts in 1963 as part of a drainage upgrade and minor widening project. Unlike the masonry culverts, these reinforced concrete pipe culverts are standardized, prefabricated, cylindrical units no larger than 3 feet in diameter. They have concrete wing walls with no masonry components. They are non-contributing resources to the nominated portion of the highway. What makes SH 16 Eligible for the National Register of Historic Places? A. The property is associated with significant events that made a contribution to our history. B. The property is associated with a significant person from our past. C. The property embodies distinctive physical characteristics of a type, period, method of construction, represent the work of a master, possess high artistic values, or represent a significant and distinguishable entity. D. The property contains or is likely to contain important prehistory or history information. 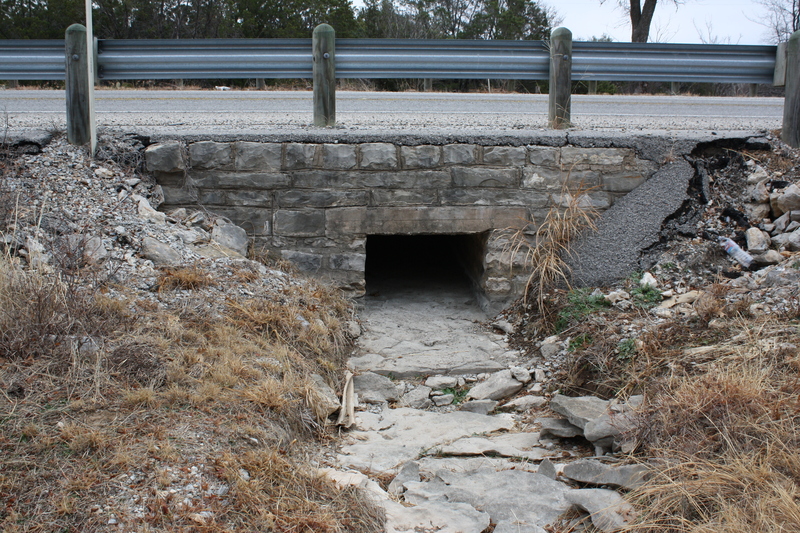 Based on the requirements outlined in the Historic Road Infrastructure of Texas Multiple Property Documentation Form, this segment of SH 16, built between 1940 and 1942, is eligible for its association with the WPA’s Depression-era projects (Criterion A) and for its demonstration of exceptional hand-labor workmanship and engineering through its masonry culverts, masonry guard wall, and masonry arch bridge (Criterion C). For more information on what it means to be eligible for or listed in the National Register of Historic Places, click here. As a result of improvements along SH 16, TxDOT nominated this segment of the road, which was listed by the Keeper of the National Register in April 2015. This work was part of mitigation for the project, which the Texas Historical Commission reviewed under Section 106 of the National Historic Preservation Act. To learn more about the laws that protect significant historic properties, click here. 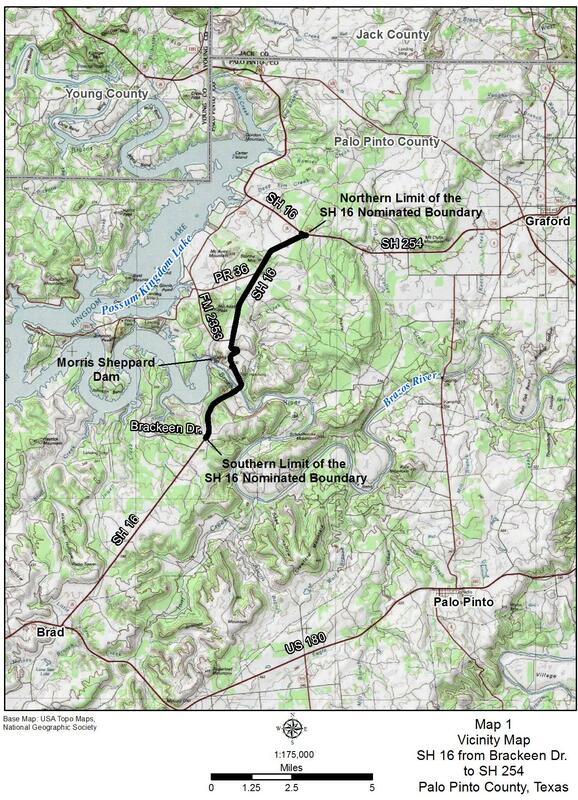 This topotgraphical map shows the National Register-listed segment of SH 16 in Palo Pinto County.